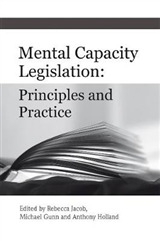 The Mental Capacity Act 2005 governs decision-making processes on behalf of adults who are unable to give informed consent, whether they lose mental capacity at some point in their lives due to illness or injury or where the incapacitating condition has been present since birth. 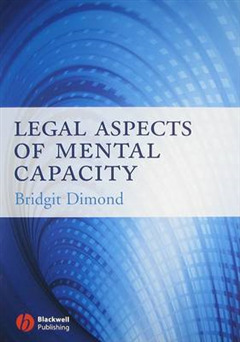 Legal Aspects of Mental Capacity will assist practitioners in understanding the basic provisions of the Act and how it applies to their professional responsibilities. 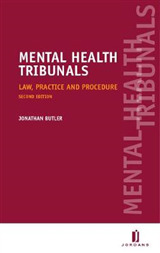 It is also intended to be of assistance to the many carers who find themselves in the position of needing to make decisions on behalf of mentally incapacitated relatives and friends. 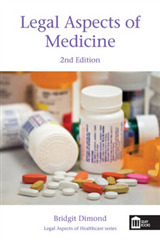 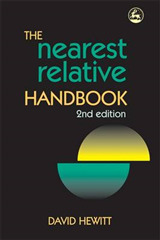 Each chapter sets out the basis provisions, followed by a series of scenarios dealing with practical concerns which are discussed in the light of the new legislation. 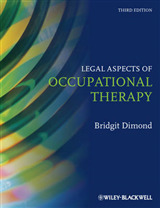 * A practical guide to the provisions of the Mental Capacity Act 2005 * Easily accessible for those with no legal background * Includes scenarios illustrating different legal points * Explores the background to the legislation, including determination of capacity and the definition of best interests Legal Aspects of Mental Capacity is an essential resource for all healthcare and social services professionals, patient services managers and carers working with those who lack the capacity to make their own decisions.